European multi-asset manager Luca Pesarini is holding near record levels of cash in his €2.5 billion portfolio over concerns about the ‘real state’ of the global economy. Speaking to Citywire Global, Pesarini, lead manager on the Ethna Aktiv-E fund, said he has increased cash holdings to 35% as he believes many investors are wrongly banking on China eventually coming to the aid of the Eurozone. Explaining the large cash holdings, Pesarini admitted it is a defensive move and said he had held nearly 50% cash in August 2008 in a similarly risk averse move. Discussing the Eurozone as a whole, Pesarini said he still has faith in bonds backed by Europe’s major institutions – such as the European Financial Stability Facility (EFSF) and the European Investment Bank. These currently account for around 10% of his overall portfolio down from 25% in November. 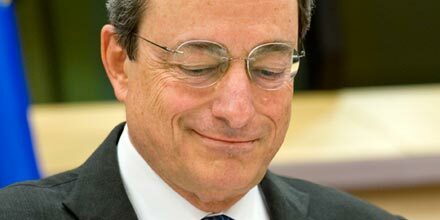 Although, he did admit to reducing his exposure further following the EFSF downgrade at the start of January. His co-manager Guido Barthels had explained this strategy to Citywire before Christmas. Pesarini said he expects Mario Draghi to build on the positive sentiment created by the €489 billion longer term refinancing operation, by doubling the amount available in the second round due to be launched at the end of February. However, Pesarini said there were limitations to the programme which meant sovereign debt – the main area of difficulty – was not attracting long term investors. The next major issue facing the Eurozone, Pesarini said, is going to be on March 20, when €14.5 billion worth of Greek sovereign bonds reach maturity. He said investors were likely to have to take some sort of loss on this and this, he said, would trigger a widening out of CDS spreads. Elsewhere in his portfolio, Pesarini is gradually reducing his exposure to the US dollar. This is due to concerns over the impact of November’s Presidential election. 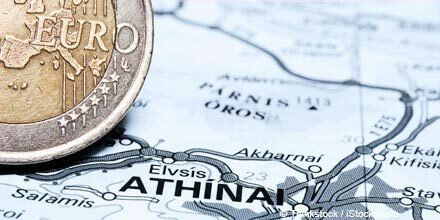 Over the past five years the Ethna AKTIV-E fund has returned 21.5%. Its benchmark, the LCI Mixed Asset EUR Bal, has risen by 0.1% over the same period.